Automate the transition between configured options or simply limit or grant access over time. The interface is very easy to use and intuitive. The new modern and responsive design offers a clear visualization of your configuration. 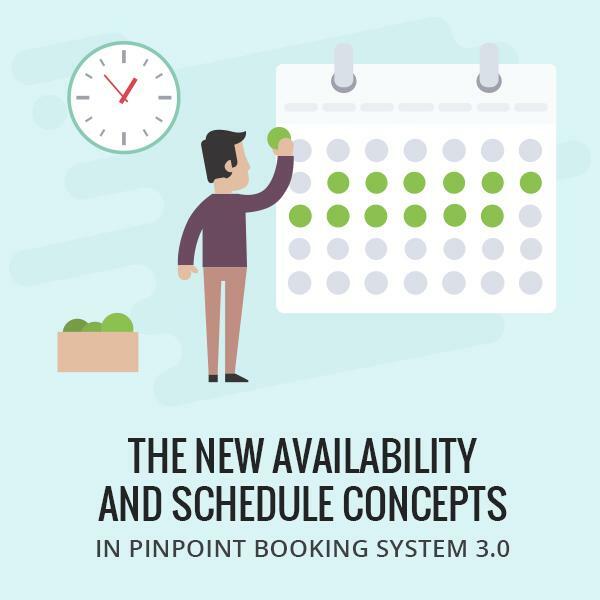 In order to set Availability or Schedule for a component, you need to create a time period. You can add days or hours intervals to each time intervals. You can have multiple time periods where you can combine different days intervals with different hours intervals. When you create a new time period, the days are unavailable by default. This is deliberate, to force you to set the custom intervals. After you add your first hours interval, a default interval from 00:00 to 23:59 will be created. 23:59 is the end of the day. If you want to add more hours intervals, they will be set in chronological order. Select the start and the end hour to change it. Looking for a recommendation on a shop cart solution that will be geared more for unique items sold once rather than able to be restocked. Ideally it would be friendly to mobile product entry (app not required as long as mobile HTML product entry is phone friendly). To streamline things I want to be able to have a "sold" category that can work as a gallery for works that have been sold and no longer available but that are still good for people looking to see if they like what she makes. I've ... volunteered ... to get my wife's small business site up and running again. In the past she'd had a brick&mortar and did all online sales manually through social media. It became a disaster once she closed the shop and went purely online+conventions. I'm not seeing what looks like an *easy* way to do this in Woocommerce or similar (looked @ EasyCart and a couple of others). I'm not experienced with Wordpress. I've done a couple of custom Drupal sites in the past and did a site for her a couple of years back that used Facebook API as a CMS (everything on her site, banners, posts, about/address, etc pulled from her FB page that she was much more comfortable with). So I'm not a complete n00b but am when it comes to WP. Nearly everything she sells is 1-off. She sells artwork and bone taxidermy. That means each item is either a unique artwork or is a skull/skeleton/etc. Even if she had 7 skulls of the same type of animal in stock they would each have quality differences and so each gets it's own product page, photos, and only sells once. She does have a couple of things that can be sold with quantities and refreshed as well as a couple of digital products, but those are easy to accomplish with most systems. She also needs to be able to have things that have sold be visible (in a "gallery" or "sold" shop page, either would work). Being 100% honest here she's got serious ADHD and so I need to keep the process as streamlined as possible for her to keep the products flowing into the site. That means I'm hoping for a way to accomplish her needs with a single form entry per product. Shipping calculation -or- proper sending of item dimensions+weight to PayPal (we can use PayPal shipping tables, all orders will go through PayPal). Ability to display Sold products in some form of gallery after they're no longer available to sell. *But* to not display those Sold products when people are shopping mixed in with available items (as the # of sold items grows it would quickly make everything look sold out in what I'm seeing with Woocommerce for instance). It doesn't need to be in the shop directly (but can be). So if the shop can also create quick posts/gallery entries in another module that would be fine. Otherwise just have a good way to default display Sold in a separate section of the store. Small level of inventory features so that those few non-unique products can be restocked. We don't need anything complicated for inventory management, just an "in stock" capability at a minimum. Having to set a quantity to 1 for unique products is fine but they'll never be boosted back to 1 again when sold. Tax module is handy but for now she's able to handle in-state taxes by just setting it aside from her sell price. Everything above has been easy to find -except- for this "Sold Gallery" concept. It's something I could whip up in Drupal but then I'm stuck with everything else being that much harder. Additionally she's hosted for free on a friend's shared VPS host and so even WP is slow ... Drupal is *very* slow. If the shop sells well enough for her in a year we're looking at moving to a higher capacity host. Woocommerce ... would do almost everything but in my testing/searching I'm not seeing a good way to have a pageflow that allows in-stock items to show when shopping but also have "sold" products visible (but not unless specifically looked for). If there's a way to accomplish this via a filter or plugin I've missed, that would likely do good enough. Overall Woocommerce is much more than she needs, but better than being too little. WP EasyCart ... similar issues to Woocommerce. Simple PayPal Shopping Cart ... which is not a store, just a method of adding short codes for PayPal. This was almost what we went with since doing each product as a page is perfectly viable for what she wants IF there was a way to have it edit the title to "Sold", remove the PayPal shortcode on being sold, and send shipping weight to PayPal. She's technical enough that dealing with shortcodes wouldn't be a problem for her. The problem with this solution is more around the fact she'll have to be awake 24/7 to make sure she marks a product sold immediately (or risk having someone buy a product that has already been sold, and with her method of marketing to social media is a real possibility). I really wanted something that didn't do a full store, like the Simple PayPal Shopping Cart, but it needs to manage removing the PayPal buy button once a 1-off item has been sold. Is there any good plugin for surveys out there? I have used Opinion Stage, but they $$$ and QSM has been quite helpful, but it gives me issues with the email containing each student’s answers. [REVIEW] What is the Abstract Factory Pattern? Requirements: plugin should be able to let me create the listicle slider within the post editor, and not by calling a short code. Our plugin adds a widget which shows the top crypto interest rates. 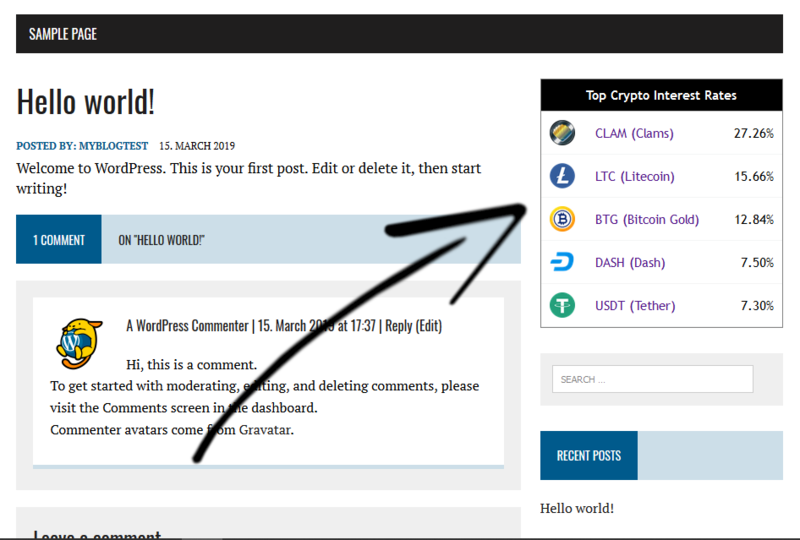 https://wordpress.org/plugins/cryptocurrency-interest-rates/. Currently we run a contest where you can win BTC when you add the plugin to your site: https://earncryptointerest.com/contest.html. The data is taken from our site https://earncryptointerest.com. We compile interest rates from 11 different sources and make them comparable. Obviously there are tons of lists of upsell plugins on the web, however not many have a lot of reviews or seem to work with a large number of merchant accounts. I'm looking for your opinions on the best one-click upsell plugin-ins for woocommerce. The more compatible with Authorize.net, the better. That is our payment gateway system and we would prefer to maintain the current status quo. [HELP] I am looking for a good plugin that provides a login/registration widget. I found a simple one, but it has some styling issues with my site. I would just use a plugin and link it in one of my menus, but on mobile my menus are in a dropdown, and I wouldn't want it to get buried so a widget would work much better. Any suggestions? I'm created a video editing system that could potentially work as a WordPress plugin and I'm looking for feedback to see if people would use it and what features you would want to see? The video maker could convert uploaded images in to an edited video and output in various formats for Facebook, LinkedIn and other platforms. As an example if you add a blog article you could use any images from the article, add a title, some text and choose a soundtrack. The video is then automatically generated and can then be shared out to social networks or use it on your homepage or website. The video would be created by simply filling a form or very simple interface. It is likely to be a freemium service. Do you think this is something you would use? [HELP] Is there a plugin that will display dropdown select boxes and then go to a webpage based on what you select ? For example, I have two Dropdown boxes. One is "Make", the other is "Model". So lets say a user picks "Toyota", and then "Corolla", and presses [submit], then it takes them to the Toyota Corolla webpage url. Whats the best way of doing that?